IRS Trouble Solvers™ Cuts Deal with Illinois Department of Revenue on Huge Sales Tax, Income Tax Bill - Patrick T. Sheehan & Associates, Attorneys at Law, P.C. IRS Trouble Solvers is pleased to announce a groundbreaking Offer in Compromise with the Illinois Department of Revenue related to unpaid sales tax and unpaid Illinois withholding income tax. Our client ran two businesses which both subsequently failed. One business had employees, and our client withheld Illinois income tax from his employees’ paychecks. However, he did not pay those funds over to the Illinois Department of Revenue as required by law. My client’s other business sold items at retail and collected a substantial amount of sales tax from his customers. However, our client did not turn those funds over to the Illinois Department of Revenue as required by law. After the businesses failed, the Illinois Department of Revenue assessed the 100% Penalty against our client stemming from his businesses’ unpaid sales tax and Illinois withholding income tax liability in excess of $250,000.00. We filed a Petition with the Illinois Department of Revenue Board of Appeals seeking to compromise the $250,000.00 liability. Even though the Petition was pending for nearly four years, the Illinois Department of Revenue finally agreed to accept a little more than $40,000.00 in full settlement of the prior liability. After our client pay the money due under the terms of the agreement, our client will be free and clear of his prior tax liability due to the State of Illinois. 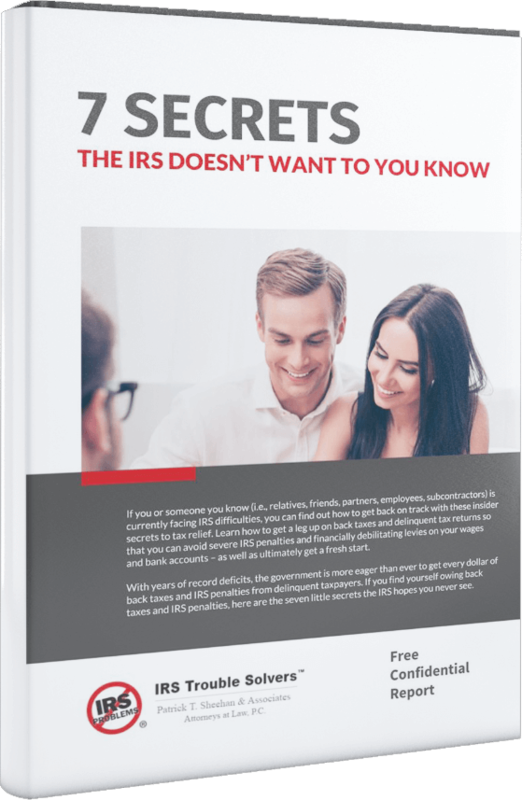 This is a tremendous success for IRS Trouble Solvers. The Illinois Department of Revenue agreed to accept only 16.5% of the total balance due. Said another way, this is an 83.5% savings for our client. Do you or your business have unpaid liability due to the Illinois Department of Revenue? Call us, we can help.